Weight is an issue in all our lives, it doesn’t help that social media seems to paint a size 0 girl as the size we should be (controversial statement, I know). I’ll admit, I’m one of those people who looks in the long standing mirror in my bedroom everyday as i’m getting dressed and sees faults with myself, whether I spot a new stretch mark on my tummy or thighs, or I wonder how the hell I’ve got the newest bruise on my shin and the newest bruise on my tummy from injecting my insulin in the wrong place. Now, this is confession time, I’ve said before in a clinic update I wrote on here a few weeks ago, that my weight had gone down a bit and that I needed to put some of the weight I’ve lost back on. Since the summer, I have been cutting back on my portions in my meals, which I know I shouldn’t have done, there is a personal reason why I’ve cut back on the food intake, but there’s only two people in my life who may figure out the reason why once they’ve read this. When I seen that my weight had dropped by some distance since the summer, I was in shock that I let myself get like this, to get in that mindset that I could afford to lose a few pounds. I felt embarrassed and even ashamed of myself, how and why did I let myself get like this? This isn’t me, the Lucy I know would stuff her face and not care what people thought about her, her weight and her size. It took me a while to figure that out and now I know why, which i’m not going to say on here but I know I need to get out of that mindset and stop giving a s**t about what other people think. But now I am more determined than ever to get this weight back on, I don’t care if it means devouring 20 bacon butties every day or drinking 10 glasses of whole fat milk with breakfast. I will get this weight back on. I don’t want to get into that situation where I would need to be fed through a peg to get the weight on me. One thing I’ve learnt from this episode, not to sound like I’ve just watched or been in an episode of EastEnders, is that you should be proud of who you are, regardless of how much you weigh, how many scars you have on your body or your facial features. Ignore everything that magazines and social media say, it’s about being happy in your own skin. I know I’ll never have a flat stomach (due to steroids and insulin), never have non-jiggly thighs and a thigh gap, not even have bingo wing-less arms, or not even have chubby-less cheeks (thanks Prednisolone!) but why should it matter to everyone? Whether it’s people judging your appearance on social media, which, let’s face it, we’ve all done at least once, or lads that pass me by in the street or even myself that I need to have the perfect body? I’ve got to a point now where I don’t care! If a lad doesn’t like me for who I am, he can f**k off! (excuse my language!) Let him go after a 6ft tall model who has the possibility of risking losing her modelling contract if she even puts on one slight pound of fat on her tiny waist. Don’t get me wrong, I’m not against models being the size they are, they’ve worked hard to get where they are and you got to admire girls and even boys who are earning a good living out of walking down the catwalk for fashion week or modelling clothes in the latest edition of Vogue. I know that I couldn’t be a person to work under that type of pressure to maintain their image, I don’t think I would be happy living that sort of life. I’d rather live the life which i’m living now which is eat as much chips and cakes as I want and not feel guilty about it. I‘m just saying that we need to stop being so self-critical of ourselves and be proud of who we are, no matter what shape or size we are. Fitness models I would rather aspire to because they have most definitely worked hard to get to where they are today, One girl with CF, Sophie Holmes, is somebody I look up to for fitness inspiration, how she has made fitness her lifestyle and the way she manages to fit her exercise and her CF life in all in 24 hours is amazing to me! I hope I don’t upset or offend anyone who reads this, I’m just giving my opinion. I know that there are people out there who won’t agree with what I’ve written here and that’s fine, I’m not writing this to please people or sugarcoat it, this is how I feel. 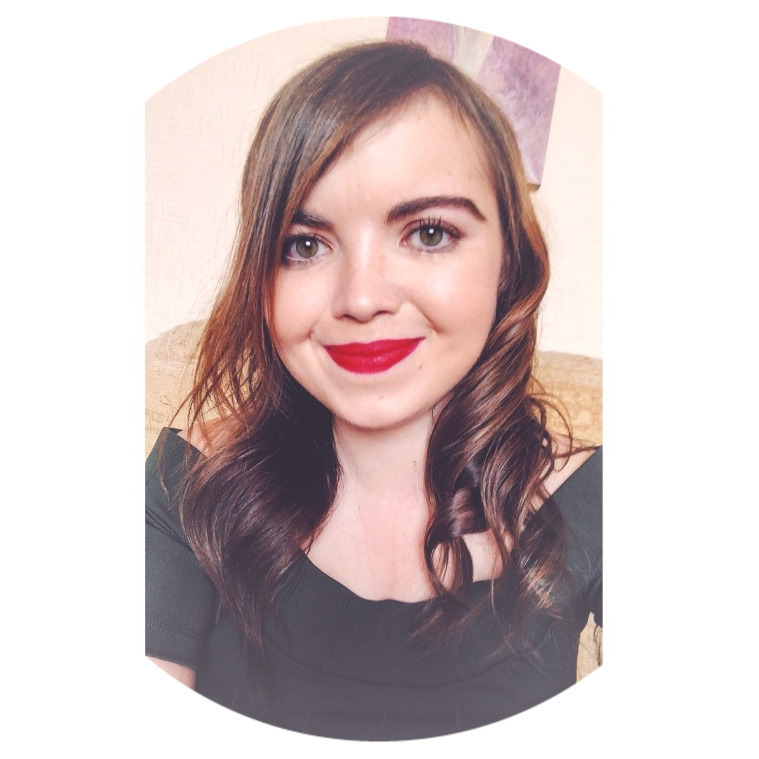 I'm Lucy, I'm a 25 year old with Cystic Fibrosis, currently living in Wales trying to breathe and blog my way through life. My passion is writing and watching my beloved Liverpool FC play. If you need me, I'll either be taking medication or writing new material.